Health insurance premiums are increasing year after year; many employers have consistently increased the deductibles and out-of-pocket costs in order to keep the health insurance plans manageable. High deductible health plans and Health Savings Accounts are a common benefit offering in today’s marketplace. Now, your employees have the option of minimizing their high out-of-pocket costs. The Deductible Supplement Plan is available to help employees manage their increased out-of-pocket exposure. It provides employees supplemental indemnity benefits for sickness and accident situations. Benefits are lump sum indemnity benefits which are paid directly to the employee regardless of any other health insurance plans. Premiums as low as $10 bi-weekly. Sometimes having two plans is better than one. See the below sample case study to see how simple this can work. Indemnity lump sum sickness and accident benefits are paid directly to the employee based on the amount of coverage listed in the schedule of benefits. Benefits are payable regardless of any other health insurance plan. First Day Admission Benefit: paid when a covered person is first admitted to a hospital per Plan Year. Additional Hospitalization Benefit: paid for additional days of hospital confinements based on plan selected. Surgery Benefit: A $250 benefit paid for one inpatient or outpatient surgery per covered person per Plan Year. In addition if anesthesia is required for the surgery, you will receive a $50 Anesthesia benefit. Ambulance: A $250 benefit is paid for ground or air ambulance transportation to a hospital for either sickness or an accident Maternity: Benefits are payable same as any other illness. *This is to be used as a guide to determine which plan will work best for you and your employees. 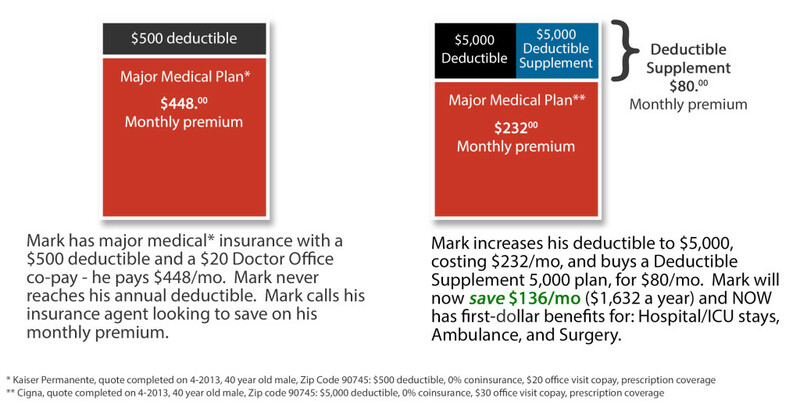 Your combined deductible and co-insurance limits of your health plan(s) determine your Out-Of-Pocket costs. Underwritten by the United States Fire Insurance Company, rated A (Excellent) by AM Best (2014 Edition). 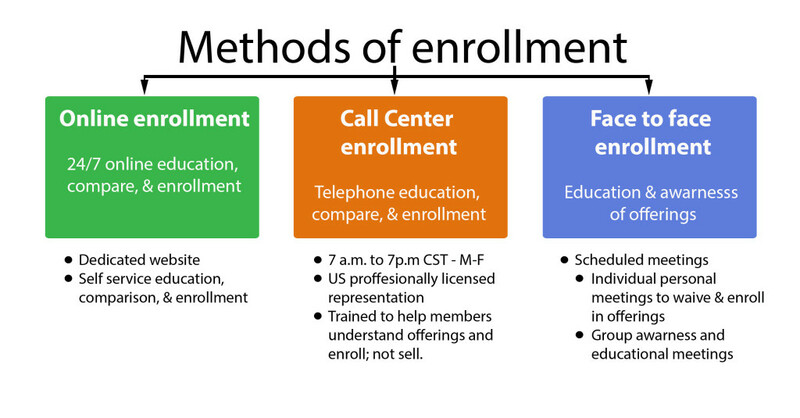 Employees can view benefits 24/7 online and enroll in seconds. If they prefer to speak to a professional; availability of licensed insurance representatives which will help them understand the offering and not sell them insurance.